Feeling slightly buzzed after a few beers, he decided to speak out. “My name is Renderman and I suffer from depression,” he tweeted. Within minutes, other hackers started responding. Nerval's Lobster writes "Nate Silver feels a little odd about his fame. That's not to say that he hasn't worked to get to his enviable position. Thanks to his savvy with predictive models, and the huge readership platform provided by The New York Times hosting his FiveThirtyEight blog, he managed to forecast the most recent presidential election results in all 50 states. His accuracy transformed him into a rare breed: a statistician with a household name. But onstage at this year's SXSW conference, Silver termed his fame 'strange' and 'out of proportion,' and described his model as little more than averaging the state and national polls, spiced a bit with his algorithms. "It bothered me that this was such a big deal," he told the audience. In politics, he added, most of the statistical analysis being conducted simply isn't good, which lets someone like him stand out; same as in baseball, where he made his start in predictive modeling. In fields with better analytics, the competition for someone like him would be much fiercer. He also talked about, despite a flood of data (and the tools to analyze it) in the modern world, we still face huge problems when it comes to actually understanding and using that data. 'You have a gap between what we think we know and what we really know,' he said. 'We tend to be oversensitive to random fluctuations in the data and mistake the fluctuations for real relationships.'" 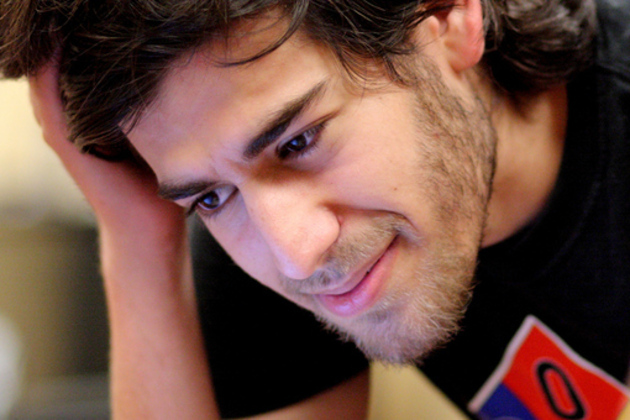 maijc writes "Computer activist Aaron Swartz committed suicide yesterday in New York City. He was 26 years old. Swartz was 'indicted in July 2011 by a federal grand jury for allegedly mass downloading documents from the JSTOR online journal archive with the intent to distribute them.' He is best known for co-authoring the widely-used RSS 1.0 specification when he was 14, and as one of the early co-owners of Reddit." The Independent Games Festival has announced the eight Student Showcase winners for the fourteenth annual presentation of its prestigious awards, celebrating the brightest and most innovative creations to come out of universities and games programs from around the world in the past year. This year's showcase of top student talent include the lithograph-sketched 2D logic puzzler The Bridge, from Case Western Reserve University, Art Institute of Phoenix's magic-moth platformer Dust, and DigiPen Institute of Technology's part-psychological-evaluator, part-boot-camp-instructor, possibly-part-malware action game Nous. In total, this year's Student Competition took in nearly 300 game entries across all platforms -- PC, console and mobile -- from a wide diversity of the world's most prestigious universities and games programs making the Student IGF one of the world's largest showcases of student talent. All of the Student Showcase winners announced today will be playable on the Expo show floor at the 26th Game Developers Conference, to be held in San Francisco starting March 5th, 2012. Each team will receive a $500 prize for being selected into the Showcase, and are finalists for an additional $3,000 prize for Best Student Game, to be revealed during the Independent Games Festival Awards on March 7th. This year's Student IGF entries were distributed to an opt-in subset of the main competition judging body, consisting of more than 100 leading independent and mainstream developers, academics and journalists. Now in its tenth year as a part of the larger Independent Games Festival, the Student Showcase highlights up-and-coming talent from worldwide university programs, and has served as the venue which first premiered numerous now-widely-recognized names including DigiPen's Narbacular Drop and Tag: The Power of Paint, which would evolve first into Valve's acclaimed Portal, with the latter brought on-board for Portal 2. For more information on the Independent Games Festival, for which Main Competition finalists were also just announced, please visit the official IGF website. For those interested in registering for GDC 2012 (part of the UBM TechWeb Game Network, as is this website), which includes the Independent Games Summit, the IGF Pavilion and the IGF Awards Ceremony, please visit the Game Developers Conference website. introduce resources, http verbs, and hypermedia controls.